Below are the 41 classes that are permitted in the Guild. Also, you can choose archetypes from the Advanced Player’s Guide, Ultimate Magic, Ultimate Combat, Advanced Class Guide, and Occult Adventures. And remember that you can “stack” levels from different classes together, or use the “combining” option called Variant Multiclassing from Pathfinder Unchained! Alchemist: The alchemist is the master of alchemy, using extracts to grant him great power, mutagens to enhance his form, and bombs to destroy his enemies. Barbarian (Unchained): The barbarian is a brutal berserker from beyond the edge of civilized lands. Cavalier: Mounted upon his mighty steed, the cavalier is a brave warrior, using his wit, charm, and strength at arms to rally his companions and achieve his goals. Gunslinger: Masters of distant death, the gunslinger picks off enemies from afar with her strange and wondrous weapons. Inquisitor: Scourge of the unfaithful and hunter of horrors, the inquisitor roots out the enemies of her faith with grim conviction and an array of divine blessings. Magus: Blending magical ability and martial prowess into something entirely unique, the magus uses both spell and steel to devastating effect. Mesmerist: A mesmerist’s piercing stare lets him insinuate himself into other people’s minds. A master of enchantment and illusion, the mesmerist controls and influences the behavior of others. Ninja: A master of infiltration, sabotage, and assassination, the ninja uses a wide variety of weapons, practiced skills, and mystical powers to achieve her goals. Oracle: Drawing upon divine mysteries, the oracle channels divine power through her body and soul, but at a terrible price. Rogue (Unchained): The rogue is a thief and a scout, an opportunist capable of delivering brutal strikes against unwary foes. Samurai: An honorable warrior trained in the way of the blade, the bow, and the horse, and a leader on the battlefield. Spiritualist: Attuned to the spirits of the dead, a spiritualist forms a bond with a phantom—a returned spirit that has unfinished business but did not become undead. This spectral ally can alternate between forms, emerging from the safety of the spiritualist’s mind to take on an incorporeal form or an ectoplasmic body. Summoner (Unchained): Bonded to a mysterious creature called an eidolon, the summoner focuses his power on strengthing that connection and enhancing his strange, otherworldy companion. Vigilante (from Ultimate Intrigue): Operating in plain sight, hiding behind respectable personas by day, vigilantes don alternate guises by night to right the wrongs they see all around them. Similarly, some criminals hide behind the pretense of being ordinary folk. Witch: Lurking on the fringe of civilization, the witch makes a powerful connection with a patron that grants her strange and mysterious powers through a special familiar. Arcanist: Blending the power of the sorcerer with the versatility of the wizard, the arcanist draws upon a reservoir of power to bend magic to her will. 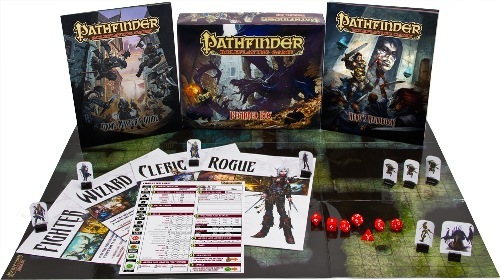 Bloodrager: Fusing the frenzy of the barbarian with the bloodline might of the sorcerer, the bloodrager calls upon innate power to give himself extraordinary abilities. Brawler: Focusing on hand-to-hand combat, the brawler mixes the martial artistry of the monk with the specialist training of the fighter. Hunter: Though both the druid and ranger can have animal companions, the hunter takes this bond to the next level, forming a deadly duo with her savage ally. Investigator: With the rogue’s cunning complemented by the alchemist’s magical talent, the investigator is a peerless problem solver. Shaman: Calling on the divine power of the oracle and the hexes of a witch, the shaman communes with her spirit animal to unleash doom upon her foes. Skald: Sharing fury through song and deed, the skald takes the rage that lives in the heart of the barbarian and inspires it in others using the performances of the bard. Slayer: Mixing the precise strikes of the rogue with the special training of the ranger, the slayer hunts down his foes with ruthless efficiency. 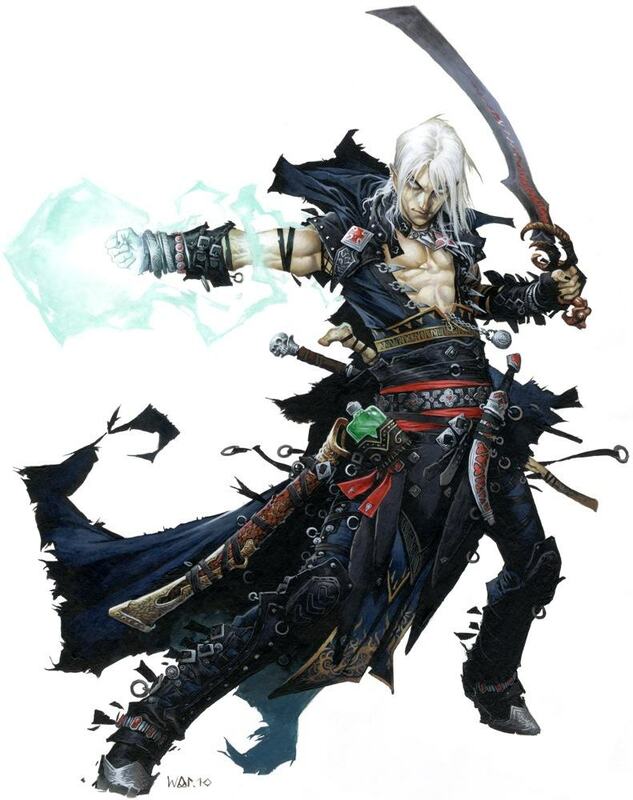 Swashbuckler: Combining the prowess of the fighter with the determination of the gunslinger, the swashbuckler is an acrobatic melee combatant. Warpriest: Blending the cleric’s divine might and the fighter’s martial skills, the warpriest brings the fight to the enemies of his faith. Aegis (version from Psionics Unleashed — might have small differences): Surrounded by a protective suit of ectoplasm, the aegis customizes his astral armor to suit his personal taste and the circumstances of the moment. Where a soulknife always has the right weapon for the job, the aegis is always protected from danger. Marksman (version from Psionics Unleashed — might have small differences): Combining mental power with thrown or ranged attacks, the marksman is a deadly wielder of ranged weapons. Soulknife (version from Psionics Unleashed — might have small differences): A warrior who creates a unique weapon out of mental energy. Dragonrider: Dragonriders are heroic figures with the power to bond with dragons, gaining lifelong steeds, companions and allies. This bond is more than simply a close friendship, it is a mystic connection between dragonrider and dragon, creating a permanent link fueled by the arcane power inherent to all true dragons. Do you want to be? Rogues are better at finding traps I think. Since they’re so similar let’s say that Sanguinia’s learning some stuff from Skaroband since they’ve been adventuring together. What kind of stuff will I lern? Click on the links to see the differences. I think the main thing is you are able to use poison without risking poisoning yourself, and you lose the advantages against traps. Also, only rogues can disarm magical traps. But then you get KI points and can do more supernatural things as a ninja. Look at what KI POINTS do. Your 2nd-level rogue trick of Weapon Finesse is still a good choice so you’re still good.